I'm a big fan of public radio, podcasts, and any form of news consumption soothing enough to lull me to sleep if there isn't enough light stimulating my eyes. Umano suits me well. It's an app that lets users listen to articles from top news sources read by professional narrators. There's no excessive emotion, no pundits talking over each other, no background music, and no silly sound effects (okay, there are a handful of those). 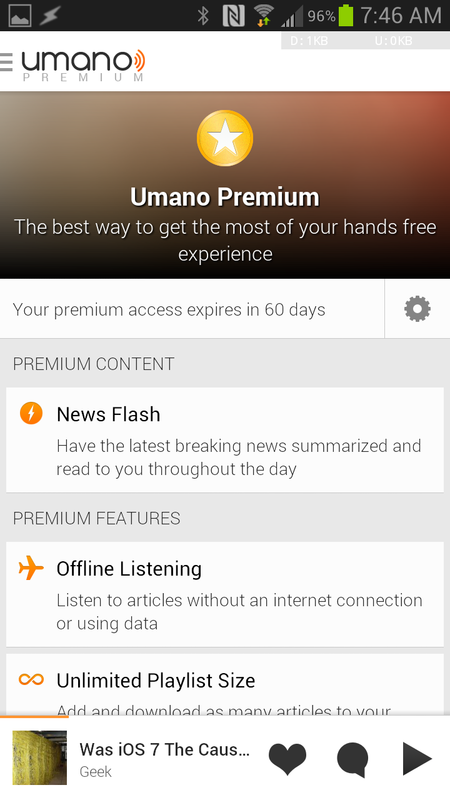 Now the team is taking the app to the next level by rolling out Umano Premium, a paid option that introduces many new features requested by users. And as a nice gesture, they're giving people who already held Umano accounts two free months. Premium accounts will cost users $3.99 a month. Exclusive features include offline playback, unlimited playlists, and breaking news reports in the morning. Here's the full list of advertised features. Customize Jingle: You decide what sound you hear before an article starts playing. Choose from our library of jingles. Sleep Timer: Enjoy falling asleep to Umano? 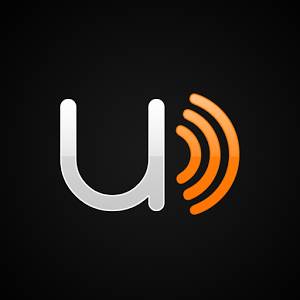 Never miss an article again by selecting a timer for Umano to stop playing. 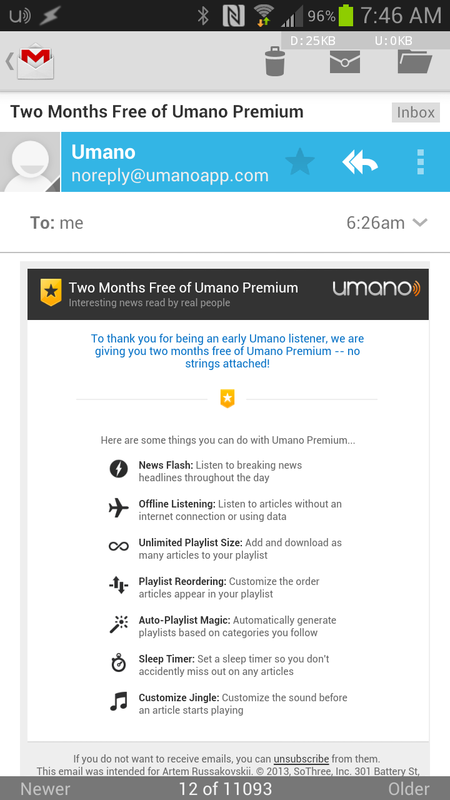 If you want to give Umano a go, grab it from the Play Store below. Anyone who likes what they hear can make the leap to Umano Premium from within the app itself.